Michelle joined the firm in October 1999 after spending 10 years in corporate accounting, working for a major automobile company and a natural gas supplier, as well as 5 years in small business accounting. She is experienced in providing audit and review services as well as the preparation of audited and reviewed financial statements and tax returns for condominiums, homeowners associations, and cooperative housing associations. 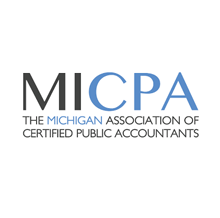 Michelle earned her Bachelor of Science in Business Administration with High Distinction with a major in Accounting from Wayne State University in 1982.